The research and developments of the group has been devoted to the design of perception-action strategies to reach autonomous behavior in complex systems with uncertainty, from artificial visual systems, and pervasive computing, to real time knowledge based decision systems and multi-sensor networks. This long-term research permits to tackle renewable energy systems, to explore their efficiency and integration in different fields, and is framed in the CSIC, National I+D+I 2013_2016 and EU Research and Innovation (Horizon2020) programs. . In this context, the goal of the group is the research on intelligent control systems that integrate renewable energies and optimize efficiency in both buildings and transport, to reduce the adverse effect that the high consumption of fossil fuels are provoking in the climate change. The research aims the development and demonstration of alternative energies in new fuel cells structures and materials, high efficient electrolysers for low cost hydrogen generation, new surfaces material and structures for solar capture and energy accumulation systems (Li-ion batteries, phase change materials (FCM)) to be fully integrated in a sustainable energy system, where in the hydrogen plays a fundamental role as support for the accumulation, transport and use of the renewable energy. 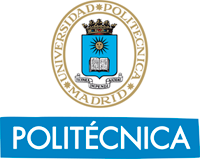 The Renewable Energies, Fuel Cells and Hydrogen Laboratory (LERH-CSIC) and the Smart Sustainable Buildings (OIKOS-CSIC) are headed by Dr. Domingo Guinea and Dr. María C. García-Alegre. Renewable Energy Fuel Cells and Hydrogen Laboratory All Rights Reserved. Centre for Automation and Robotics (CSIC-UPM).